ISLAMABAD: The Islamabad High Court (IHC) on Saturday granted the Pakistan Peoples Party’s Co-chairperson Asif Zardari protective bail in a multi-billion rupees money laundering case, a day after a banking court issued non-bailable arrest warrants against the former president. 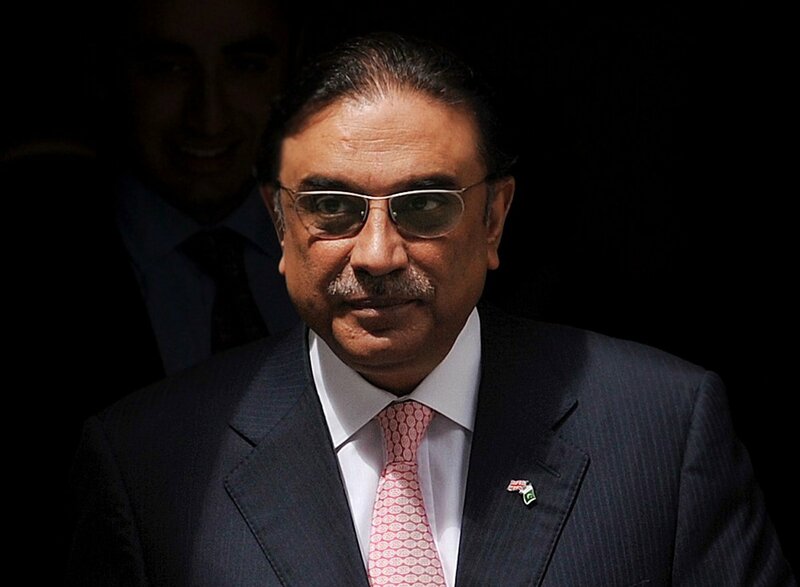 Zardari was granted protective bail during hearing of his petition filed through his counsel Sardar Latif Khosa. This is usual because high courts do not take up any case on Saturday and judges spend time in writing judgments. The petition argued on Zardari’s right to protective bail and gave assurance that he would appear before trial court and cooperate with the Federal Investigation Agency (FIA) in its inquiry. After hearing the lawyer’s arguments in his chamber, IHC’s Justice Miangul Hassan Aurangzeb granted protective bail to Zardari against a surety of Rs500,000 and directed him to appear before the court concerned by September 3. Apart from his lawyer, Zardari’s daughter Asifa, Senator Sherry Rehman, Aitzaz Ahsan, Shahbaz Khosa, Javed Iqbal Wains and others accompanied him. The former president has been granted transitory bail in the FIA’s case registered under Sections 419, 420, 468, 471, 109 of the Pakistan Penal Code read with Section 5(2) of the Prevention of Corruption Act, 1947, and Sections 3 and 4 of the Anti-Money Laundering Act, 2010. In the petition, the counsel stated that the petitioner came to know through the electronic media that a special court for banking in Karachi issued warrants of arrest against him on the FIA’s request. He said the petitioner apprehends his immediate arrest at the hands of the investigation agency. In the order, Justice Aurangzeb stated that “without touching the merits of the case, the petitioner is granted protective/transitory bail till 03-09-2018 subject to furnishing surety bonds in the sum of Rs500,000 with one surety of like amount”. Subsequently, the court directed that the petitioner shall appear before the competent court by September 3. “The concession granted to the petitioner shall automatically stand lapsed on the date fixed above,” the order read. The counsel stated in the petition that the investigation agency is “trying to involve the petitioner in false criminal case in order to malign the leadership of Pakistan People Party”. He said Zardari has participated in the recent general elections, he is elected as Member of the National Assembly, taken oath and has fully participated in the election of speaker and deputy speaker, adding that he is leading his party to participate in this democratic process. The counsel maintained that Zardari is not named as an accused in the FIR, rather name of the petitioner has been included as accused on the analogy that the transaction of Rs15 million has taken place from one of the said fake accounts into the account of company – M/s Zardari Group Pvt. Limited – without ascertaining the fact that the petitioner has any concern with the said company. He continued since Zardari entered the office of the president of Pakistan, he had abdicated and recused himself from the affairs of the company. “There is not an iota of evidence with the prosecution that could prima facie connect the petitioner with the commission of alleged offences,” the petition reads, adding “in such a situation issuance of warrants of arrest against the petitioner is the extreme step of high-handedness on the part of prosecution in order to humiliate the petitioner”. On August 17, a banking tribunal had issued non-bailable arrest warrants against Zardari and 15 others in the fake bank accounts case. 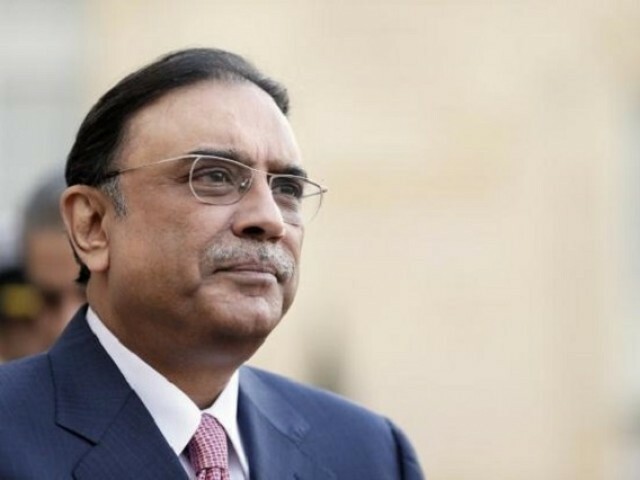 The other accused include Zardari’s sister and MPA Faryal Talpur, Omni Group Chairman Anwar Majeed, Abdul Ghani Majeed, Aslam Masood, Mohammad Arif Khan, Adeel Shah Rashidi, Nasser Abdullah Hussain, Mohammad Ashraf, Adnan Jawed, Mohammad Umair, Iqbal Arain, Qasim Ali, Shahzad Ali, Azam Wazir Khan, Sher Mohammad Mugheri, Zain Malik, Mohammad Iqbal Khan Noori, Nimr Majid and Mustafa Zulqarnain. Talpur was granted bail on July 23 by a district court of Karachi. Following the transitory bail, the IHC judge disposed of the petition.